Home Bedrijven en personen, Events Beautiful TNW-talk Kevin Kelly about when Augmented and Virtual Reality take over! 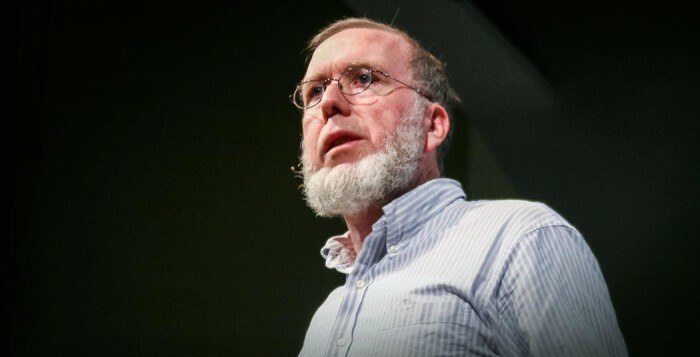 Beautiful TNW-talk Kevin Kelly about when Augmented and Virtual Reality take over! I visited The Next Web virtually and was intrigued by one of my heroes Kevin Kelly (ex-Wired Editor in Chief) who gave a great presentation about what happens when Augmented Reality and Virtual Reality become common place. What will the world look like? He recently wrote his 8th book “The Inevitable” about the twelve technological forces that will shape the next thirty years. The quality of the video is a little off, but I didn’t want you to miss out on this talk! The image is stable after 3 minutes.